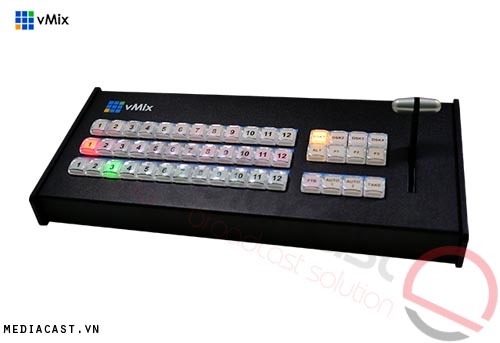 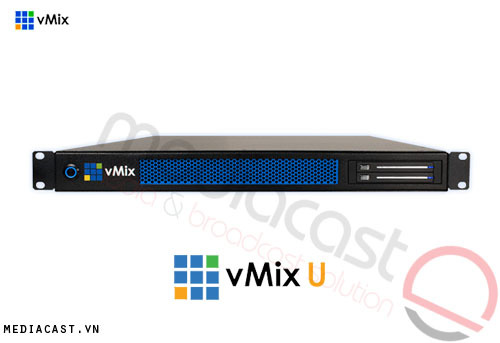 The switcher provides 6 video outputs that are always active. Featuring one SDI and one HDMI Program output , both of which deliver SD/HD/Ultra HD, with one Aux SD/HD/Ultra HD Output that can deliver a clean Program feed without any downstream effects, as primary outputs. 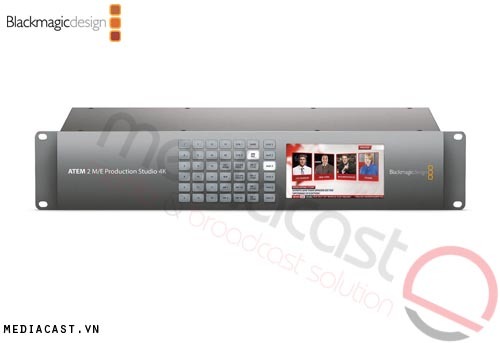 The switcher also features an HD only Program output signal for monitoring on an SDI-equipped HD monitor. 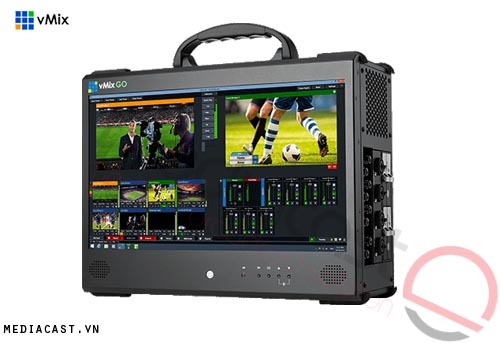 Multiview monitoring is also HD only over dedicated SDI or HDMI output, and Multiview allows you to view the Program, Preview, six active inputs and two graphic channels (media players) on one screen at the same time. 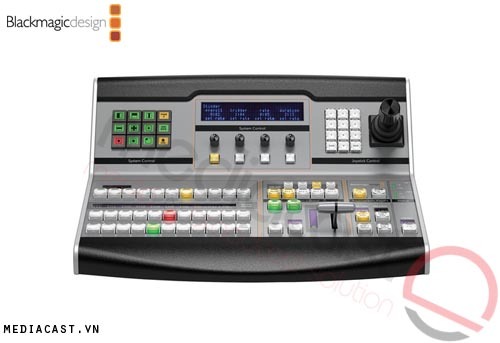 The switcher features a built-in compliment of 3 Luma and 1 Chroma keyers for real time effects and composites in Ultra HD, with 10-bit processing. 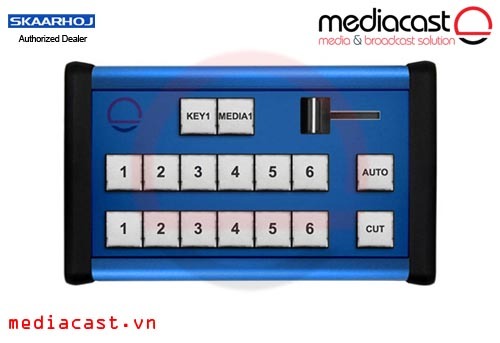 Two downstream keyers allow you to use two graphics/logos/titles/lower thirds from up to twenty stored graphics in a wide variety of formats. 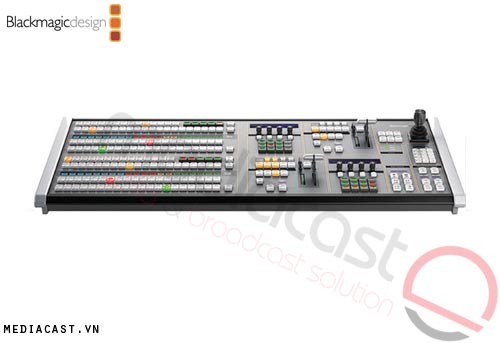 A built-in 2-channel audio mixer handles the embedded HDMI and SDI audio from the 6 active video inputs as well as audio from the balanced and unbalanced analog audio inputs to provide you flexibility and creative audio options. Audio output is embedded in the SDI and HDMI stream, as well as available via balanced audio outputs. 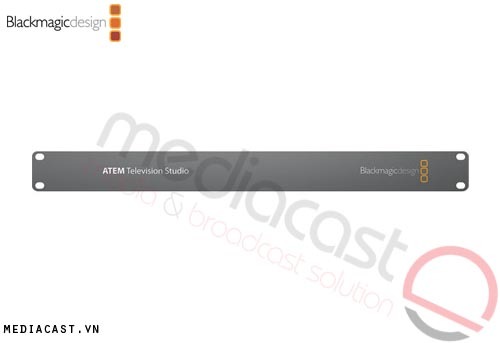 Either a Mac or PC running the included ATEM Software controls the switcher's operation and settings. 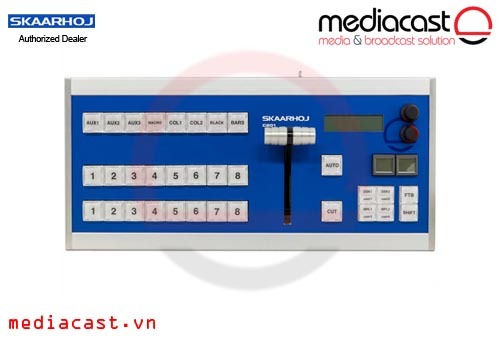 For those who like the feel of a physical control panel, available ATEM Broadcast Panels, connected via the Ethernet port, also control all the features of the switcher. 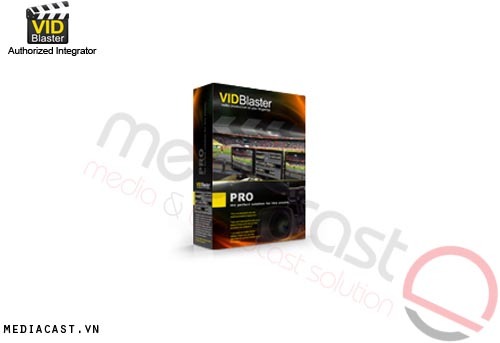 Illuminated front panel buttons allow you to locally select the Aux output, while a 2-inch LCD screen built into the front of the unit allows you to see the Aux output for instant confirmation of the correct output. 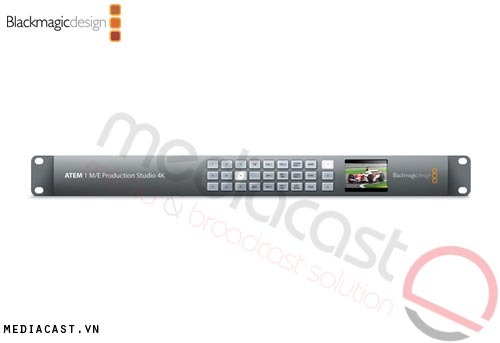 The switcher features four single link 6G-SDI and four HDMI 4K inputs, which allows you to connect SD/HD/Ultra HD and computer-based signal to the switcher. 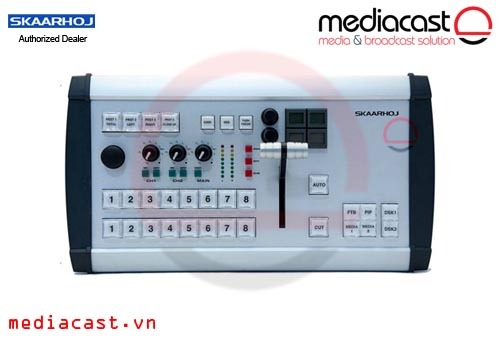 Although the switcher takes reference video in for sync timing so that it can interface with other post production equipment, each input has its own Frame synchronizer, which enables you to use cameras that do not have genlock capability or for input of computer sources such as Keynote or PowerPoint Presentations.